Just because Black History Month is over doesn’t mean you have to stop celebrating. And since March is Women’s History Month, it’s only apropos to celebrate one of our greatest poets ever, Maya Angelou. As part of Nickelodeon’s Black History Month tribute, the network partnered with the Because of Them We Can campaign. The campaign was started by Eunique Jones Gibson, a photographer and mother of two who wanted to share black culture with her own children as well as others. 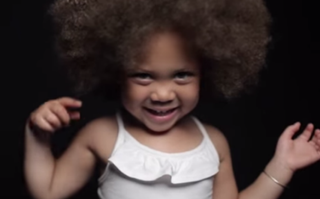 In the video below, Angelou’s poem “Phenomenal Woman” is recited by a group of little girls. Not only are they phenomenal, but they’re also adorable.